Clean CARFAX. 108 Point Inspections. 4-Wheel Disc Brakes, 8 Speakers, ABS brakes, Air Conditioning, Alloy wheels, AM/FM radio, Automatic temperature control, Axle Ratio: 4.60, Brake assist, Bumpers: body-color, CD player, Child-Seat-Sensing Airbag, Delay-off headlights, Driver door bin, Driver vanity mirror, Dual front impact airbags, Dual front side impact airbags, Electronic Stability Control, Emergency communication system, Exterior Parking Camera Rear, Four wheel independent suspension, Front anti-roll bar, Front Bucket Seats, Front Center Armrest, Front dual zone A/C, Front fog lights, Front Power Seats, Front reading lights, Fully automatic headlights, Heated door mirrors, Illuminated entry, Knee airbag, Low tire pressure warning, MB-Tex Upholstery, Memory seat, Occupant sensing airbag, Outside temperature display, Overhead airbag, Overhead console, Panic alarm, Passenger door bin, Passenger vanity mirror, Power door mirrors, Power driver seat, Power Liftgate, Power passenger seat, Power steering, Power windows, Premium audio system: COMAND, Radio data system, Radio: Audio 20 CD w/Garmin Navigation Pre-Wiring, Rain sensing wipers, Rear anti-roll bar, Rear fog lights, Rear reading lights, Rear seat center armrest, Rear window defroster, Remote keyless entry, Roof rack: rails only, Security system, Speed control, Speed-sensing steering, Split folding rear seat, Spoiler, Steering wheel mounted audio controls, Tachometer, Telescoping steering wheel, Tilt steering wheel, Traction control, Trip computer, Turn signal indicator mirrors, Variably intermittent wipers, and Weather band radio. CARFAX One-Owner. Clean CARFAX. 108 Point Inspections. 16" Alloy Wheels, 4-Wheel Disc Brakes, 6 Speakers, 6-Way Adjustable Driver's Seat, ABS brakes, Air Conditioning, AM/FM radio: SiriusXM, Brake assist, Bumpers: body-color, Carpeted Floor Mat, Cloth Seat Trim, Driver door bin, Driver vanity mirror, Dual front impact airbags, Dual front side impact airbags, Electronic Stability Control, Front anti-roll bar, Front Bucket Seats, Front Center Armrest, Front reading lights, Front wheel independent suspension, Illuminated entry, Low tire pressure warning, Occupant sensing airbag, Outside temperature display, Overhead airbag, Overhead console, Panic alarm, Passenger door bin, Passenger vanity mirror, Power door mirrors, Power steering, Power windows, Radio: AM/FM/MP3 Audio System, Rear window defroster, Rear window wiper, Remote keyless entry, Speed control, Speed-sensing steering, Split folding rear seat, Steering wheel mounted audio controls, Tachometer, Telescoping steering wheel, Tilt steering wheel, Traction control, Trip computer, and Variably intermittent wipers. Recent Arrival! CARFAX One-Owner. Clean CARFAX. 108 Point Inspections. Preferred Equipment Group 1LS, 100-Watt 6-Speaker System, 2.77 Final Drive Axle Ratio, 3.23 Final Drive Axle Ratio, 4.2" Diagonal Color Infotainment Display, 4-Way Manual Front Passenger Seat Adjuster, 4-Wheel Disc Brakes, 6 Speakers, 70AH Battery, 800 Cold-Cranking Amps Battery, 8-Way Power Driver Seat Adjuster, ABS brakes, Air Conditioning, AM/FM radio: SiriusXM, AM/FM Stereo, Automatic temperature control, Brake assist, Bumpers: body-color, Delay-off headlights, Driver door bin, Driver Power Lumbar Seat Adjuster, Driver vanity mirror, Dual front impact airbags, Dual front side impact airbags, Dual Stainless-Steel Exhaust, Electronic Stability Control, Emergency communication system, Four wheel independent suspension, Front anti-roll bar, Front Bucket Seats, Front Center Armrest, Front License Plate Bracket, Front reading lights, Fully automatic headlights, Illuminated entry, Knee airbag, Low tire pressure warning, Occupant sensing airbag, Overhead airbag, Overhead console, Panic alarm, Passenger door bin, Passenger vanity mirror, Power door mirrors, Power driver seat, Power steering, Power windows, Premium Cloth Seat Trim, Radio data system, Rear anti-roll bar, Rear reading lights, Rear seat center armrest, Rear side impact airbag, Rear window defroster, Remote keyless entry, Security system, Single-Outlet Stainless-Steel Exhaust, SiriusXM Satellite Radio, Speed control, Speed-sensing steering, Split folding rear seat, Steering wheel mounted audio controls, Stop-Start Engine Control System, Tachometer, Telescoping steering wheel, Tilt steering wheel, Traction control, Trip computer, USB Port, Variably intermittent wipers, and Wheels: 18" Steel w/Fascia-Spoke Covers. Clean CARFAX. 108 Point Inspections. 11 Speakers, 4-Wheel Disc Brakes, ABS brakes, Adaptive suspension, Air Conditioning, Alloy wheels, AM/FM radio: SiriusXM, Auto-dimming Rear-View mirror, Automatic temperature control, Brake assist, Bumpers: body-color, CD player, Compass, Delay-off headlights, Driver door bin, Driver vanity mirror, Dual front impact airbags, Dual front side impact airbags, Electronic Stability Control, Emergency communication system, Exterior Parking Camera Rear, Four wheel independent suspension, Front anti-roll bar, Front Bucket Seats, Front Center Armrest, Front dual zone A/C, Front reading lights, Fully automatic headlights, Garage door transmitter, Heated door mirrors, Heated front seats, Heated Lincoln Soft Touch Seating Surfaces, High-Intensity Discharge Headlights, Illuminated entry, Knee airbag, Leather steering wheel, Low tire pressure warning, Memory seat, MP3 decoder, Occupant sensing airbag, Outside temperature display, Overhead airbag, Overhead console, Panic alarm, Passenger door bin, Passenger vanity mirror, Power door mirrors, Power driver seat, Power passenger seat, Power steering, Power windows, Radio data system, Radio: Lincoln Premium Sound System w/Single CD, Rear anti-roll bar, Rear Parking Sensors, Rear reading lights, Rear seat center armrest, Rear window defroster, Remote keyless entry, Security system, Speed control, Speed-sensing steering, Speed-Sensitive Wipers, Split folding rear seat, Steering wheel mounted audio controls, SYNC 3, Tachometer, Telescoping steering wheel, Tilt steering wheel, Traction control, Trip computer, Turn signal indicator mirrors, and Variably intermittent wipers. CARFAX One-Owner. Clean CARFAX. 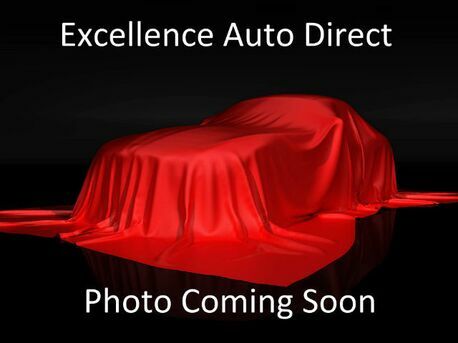 108 Point Inspections, jet black Cloth, ABS brakes, Compass, Electronic Stability Control, Front dual zone A/C, Heated door mirrors, Illuminated entry, Low tire pressure warning, Remote keyless entry, Traction control. Premium Smooth Ride Suspension Package, jet black Cloth, ABS brakes, Compass, Electronic Stability Control, Front dual zone A/C, Heated door mirrors, Illuminated entry, Low tire pressure warning, Remote keyless entry, Traction control, 18" x 8.5" Aluminum Wheels, 1st & 2nd Row Color-Keyed Carpeted Floor Mats, 2nd Row 60/40 Split-Folding Manual Bench, 3.08 Rear Axle Ratio, 3rd Row Manual 60/40 Split-Folding Fold Flat Bench, 3rd row seats: split-bench, 4-Wheel Antilock Disc Brakes w/Brake Assist, 4-Wheel Disc Brakes, 5 12-Volt Auxiliary Power Outlets, 6 Speakers, 6-Speaker Audio System Feature, 6-Way Power Front Passenger Seat Adjuster, Air Conditioning, AM/FM radio: SiriusXM, Automatic temperature control, Black Assist Steps, Brake assist, Bumpers: body-color, Cargo Net, CD player, Color-Keyed Carpeting Floor Covering, Delay-off headlights, Driver door bin, Driver Inboard & Front Passenger Airbags, Driver Information Center, Driver vanity mirror, Dual front impact airbags, Dual front side impact airbags, Electronic Cruise Control w/Set & Resume Speed, Emergency communication system: OnStar Guidance, Extended-Range Remote Keyless Entry, Exterior Parking Camera Rear, Floor Console, Front anti-roll bar, Front Bucket Seats, Front Center Armrest, Front High-Back Reclining Bucket Seats, Front reading lights, Front wheel independent suspension, Fully automatic headlights, Leather-Wrapped Steering Wheel, Occupant sensing airbag, OnStar Basic Plan For 5 Years, Outside temperature display, Overhead airbag, Overhead console, Panic alarm, Passenger door bin, Passenger vanity mirror, Power door mirrors, Power driver seat, Power passenger seat, Power steering, Power windows, Premium audio system: Chevrolet MyLink, Premium Cloth Seat Trim, Rain sensing wipers, Rear air conditioning, Rear anti-roll bar, Rear Park Assist w/Audible Warning, Rear Parking Sensors, Rear reading lights, Rear seat center armrest, Rear window defroster, Rear window wiper, Remote Vehicle Start, Roof rack: rails only, Roof-Mounted Luggage Rack Side Rails, Security system, Single-Slot CD/MP3 Player, SiriusXM Satellite Radio, Speed control, Speed-sensing steering, Split folding rear seat, Spoiler, Steering wheel mounted audio controls, Tachometer, Tilt steering wheel, Trip computer, Variably intermittent wipers, and Voltmeter. CARFAX One-Owner. Clean CARFAX. 108 Point Inspections. 3.45 Axle Ratio, 4-Wheel Disc Brakes, 9 Speakers, ABS brakes, Air Conditioning, AM/FM radio: SiriusXM, Auto-dimming Rear-View mirror, Automatic temperature control, Brake assist, Bumpers: body-color, CD player, Compass, Delay-off headlights, Driver door bin, Driver vanity mirror, Dual front impact airbags, Dual front side impact airbags, Electronic Stability Control, Emergency communication system, Exterior Parking Camera Rear, Four wheel independent suspension, Front anti-roll bar, Front Bucket Seats, Front Center Armrest w/Storage, Front dual zone A/C, Front fog lights, Front reading lights, Fully automatic headlights, Heated door mirrors, Heated Front Bucket Seats, Heated front seats, High-Intensity Discharge Headlights, Illuminated entry, Leather Shift Knob, Leather steering wheel, Low tire pressure warning, Memory seat, Navigation System, Occupant sensing airbag, Outside temperature display, Overhead airbag, Overhead console, Panic alarm, Passenger door bin, Passenger vanity mirror, Power door mirrors, Power driver seat, Power moonroof, Power passenger seat, Power steering, Power windows, Radio data system, Radio: AM/FM/HD/CD/Navigation w/USB & Aux-In, Rain sensing wipers, Rear anti-roll bar, Rear reading lights, Rear seat center armrest, Rear window defroster, Rear window wiper, Remote keyless entry, Roof rack: rails only, Security system, Speed control, Speed-sensing steering, Split folding rear seat, Spoiler, Steering wheel mounted audio controls, Tachometer, Telescoping steering wheel, Tilt steering wheel, Traction control, Trip computer, Turn signal indicator mirrors, Variably intermittent wipers, Vienna Leather Seating Surfaces, and Wheels: 19" Savannah Matte Anthracite Alloy. Clean CARFAX. 108 Point Inspections. 16" x 6.5J Steel w/Full Wheel Covers Wheels, 4-Wheel Disc Brakes, 6 Speakers, ABS brakes, Air Conditioning, AM/FM radio, Anti-whiplash front head restraints, Brake assist, Bumpers: body-color, Cloth Seat Trim, Driver door bin, Driver vanity mirror, Dual front impact airbags, Dual front side impact airbags, Electronic Stability Control, Emergency communication system, Exterior Parking Camera Rear, Four wheel independent suspension, Front anti-roll bar, Front Bucket Seats, Front Center Armrest, Front reading lights, Illuminated entry, Low tire pressure warning, Occupant sensing airbag, Outside temperature display, Overhead airbag, Panic alarm, Passenger door bin, Passenger vanity mirror, Power door mirrors, Power steering, Power windows, Radio data system, Radio: AM/FM/HD Audio System, Rear anti-roll bar, Rear window defroster, Reclining Front Bucket Seats, Remote keyless entry, Speed control, Speed-sensing steering, Split folding rear seat, Steering wheel mounted audio controls, Tachometer, Telescoping steering wheel, Tilt steering wheel, Traction control, Trip computer, and Variably intermittent wipers. Clean CARFAX. 108 Point Inspections. Power Window Group, Quick Order Package 29S SE (3 Zone Manual Control Front & Rear A/C and Body Color Door Handles), Single DVD Entertainment (1-Yr SiriusXM Radio Service, 2nd Row Overhead 9" VGA Video Screen, Charge Only Remote USB Port, High Definition Multimedia Interface, SIRIUS Satellite Radio, and Wireless Headphones), 17" Wheel Covers, 17" x 6.5" Steel Wheels, 2nd Row Bench w/Rear Stow 'N Go 60/40, 3.16 Axle Ratio, 3rd row seats: split-bench, 4 Speakers, 4-Wheel Disc Brakes, 6.5" Touchscreen Display, ABS brakes, Air Conditioning, AM/FM radio, Anti-whiplash front head restraints, Audio Jack Input for Mobile Devices, Bodyside moldings, Brake assist, Bumpers: body-color, CD player, Cloth Low-Back Bucket Seats, Delay-off headlights, Driver door bin, Driver vanity mirror, Driver's Seat Mounted Armrest, Dual front impact airbags, Dual front side impact airbags, Electronic Stability Control, Front anti-roll bar, Front Bucket Seats, Front dual zone A/C, Front reading lights, Front wheel independent suspension, Heated door mirrors, Illuminated entry, Knee airbag, Low tire pressure warning, MP3 decoder, Occupant sensing airbag, Outside temperature display, Overhead airbag, Overhead console, Panic alarm, ParkView Rear Back-Up Camera, Passenger door bin, Passenger seat mounted armrest, Passenger vanity mirror, Power door mirrors, Power steering, Power windows, Radio: 130, Radio: 430, Rear window defroster, Rear window wiper, Reclining 3rd row seat, Remote keyless entry, Speed control, Spoiler, Steering Wheel Mounted Audio Controls, Steering wheel mounted audio controls, Tachometer, Telescoping steering wheel, Tilt steering wheel, Touring Suspension, Traction control, Trip computer, and Variably intermittent wipers.